Twitter is gearing up to launch 'Moments' in the UK, a new feature that curates the most newsworthy updates across everything from entertainment to sports. The feature is already live in the US, but the company is on the hunt for journalists in the UK to round out its team ahead of an international launch. A recruitment email sent out by James Glynn, a former BBC journalist now working on Twitter Moments, said Twitter particularly sought a reporter with a strong grasp of sports. The email read: "We are looking for one more journalist to join the team, who must have a good amount of sport knowledge and expertise but also be able to cover UK news, international news and entertainment stories with time too." 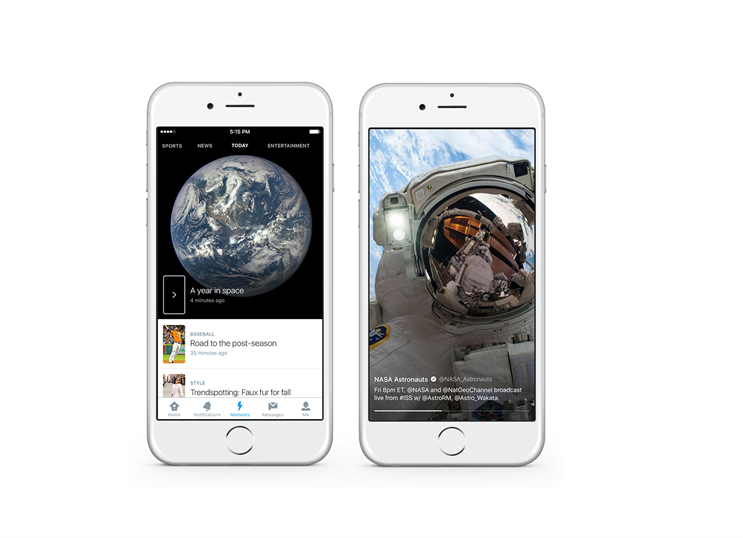 Moments is intended to make Twitter work harder as a news platform. The service is often used by news organisations to broadcast current events, but the 'live' nature of the platform means it's difficult to add context. That means new users, or those who check the service infrequently, can feel swarmed by rolling news coverage. The new feature, when it comes, will comprise a lightning bolt tab, which opens into a list of tweets about current events, like sports matches, awards ceremonies or disasters. Each news event will come with its own explainer, which might help new users who feel they have been catapaulted into a stream of current affairs tweets without any context. Swiping down will let users browse through tweets around the story, and they can retweet and favourite (or rather, like, as normal). It isn't clear when Twitter Moments will launch in the UK, or how big the global team is. The company's press office declined to comment.